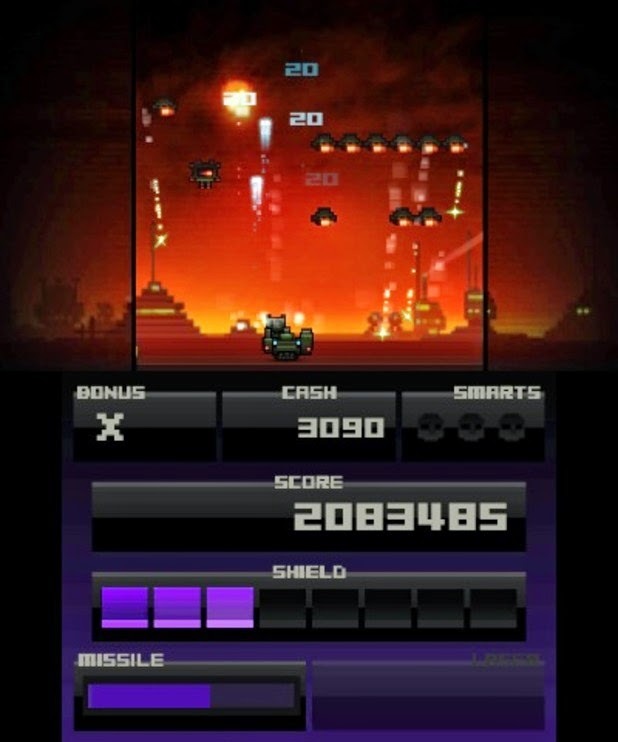 The single screen shooter is a very basic game concept, and if you're going to bring one out nearly 30 years after Space Invaders you need something extra to stand out. Puppy Games and Curve Digital have added an element of risk and reward in Titan Attacks, but the 3DS version by its nature is a bit more difficult than the previous Vita counterpart. The gameplay is quite familiar - your ship is at the bottom of the screen, a row of alien ships is at the top, and they drop down, increase speed and reverse direction as they crawl inexorably toward you. You can take three hits at the start and have two shots on the screen at the same time, but the enemy ships are incredibly aggressive with their shooting (especially in the later stages). You can earn money and bonus points by shooting down the saucers at the top, or by surviving a level without getting hit to build up a multiplier. The key to making it to the later stages is to build up a lot of money to buy additional firepower, extra hits or even the screen-clearing smart bombs. The biggest problem with Titan Attacks on 3DS is the low screen resolution - even the XL screen struggles sometimes to identify a particular type of ship that splits on shot impact, making it hard to build up a good combo and unlock the more expensive prizes. The controls are good bar the forced touchscreen use to start the game, since everything after that can be accessed via d-pad/button controls. 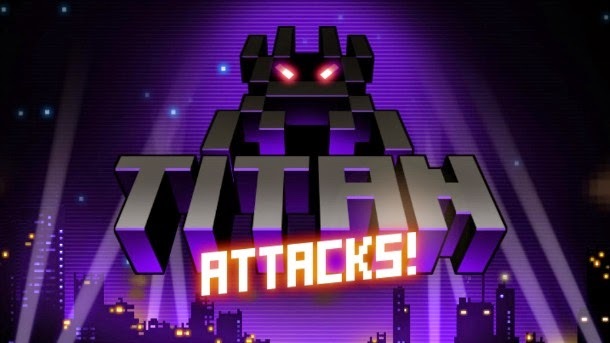 Titan Attacks is a game that is incredibly fun to play once you've built up a lot of momentum, but on the 3DS screen it's hard to build that momentum. If you have access to the Vita version - especially as a PlayStation Plus download this past December - the higher res screen does wonders, so consider that if you are interested in this type of game. On 3DS, it's not as easy to recommend. TLDR: A game that takes a while to build momentum and fights you at every turn. Recommended for: Arcade shooter fans who missed their chance on the Vita. 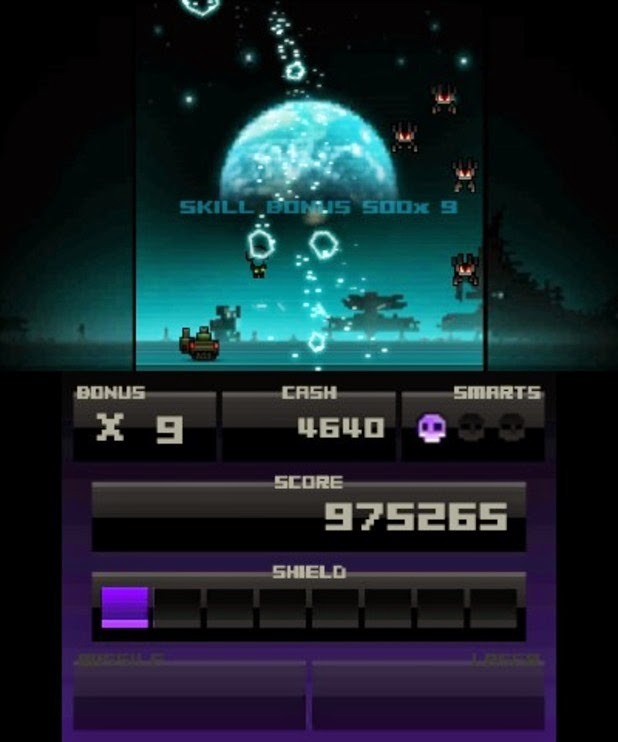 This game was played on a New 3DS XL via a review code provided by the publisher.